Did you know December 22 (and sometimes December 21) is a holiday in China? Well, it is! Dongzhi Festival is usually called Winter Solstice in English and celebrates the “end” of winter or more correctly, the beginning of longer daylight hours and an increase in happiness as sunlight makes everyone happier. During Winter Solstice, the Northern Hemisphere has the shortest daytime and the longest nighttime while the Southern Hemisphere has the opposite. In June of each year, China will celebrate the Summer Solstice with Duanwu Festival, which is better known as Dragon Boat Festival. During Dongzhi Festival in China, most people try to at least have one meal with family and eat some tangyuan, which are sweet round balls of rice flour usually filled with all different kinds of fillings. The most common filling is red bean paste or black sesame, but nowadays more and more people buy or make tangyuan filled with peanut butter, chocolate or other sweet fillings. 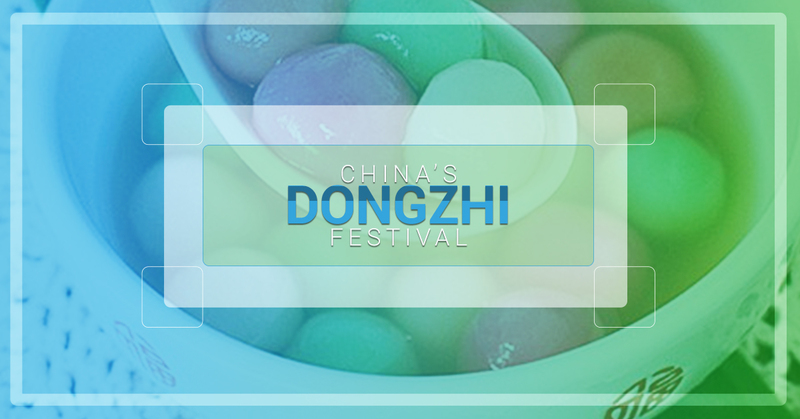 Tangyuan are typically eaten in the south of China while those in the north celebrate Dongzhi festival with dumplings. And as we all know, the fillings for dumplings are extremely diverse. If you can think of a meat/veggie/seafood combination, you can probably find a dumpling shop that sells it. If you can’t, dumplings aren’t impossible to make. As you can tell, Dongzhi Festival is pretty much just a day to eat a lot of food, which is a great holiday by most people’s standards! If you have no idea where to buy tangyuan or dumplings while you’re in China, stop by the frozen foods section of your local grocery store. However, if at all possible, the fresh varieties of both will be much better. So grab your nearest Chinese friend and see if they’ll be interested in introducing you to some special Dongzhi Festival food.